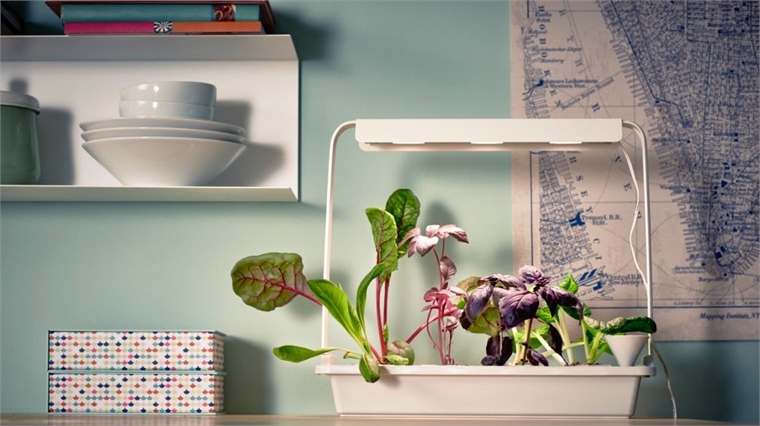 Swedish homeware retailer Ikea has developed a new line of small-scale indoor hydroponic gardening kits. 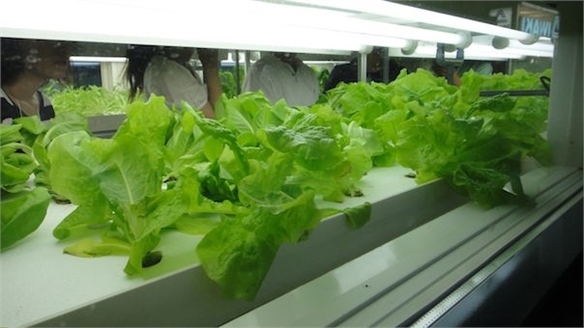 The range aims to bring affordable hydroponic farming to the increasing number of urbanites living in small spaces with limited outdoor access. Developed in collaboration with agricultural scientists in Sweden, the Krydda/Växer (Spice/Growing, in Swedish) series includes everything consumers need to grow herbs and lettuce without the use of soil. 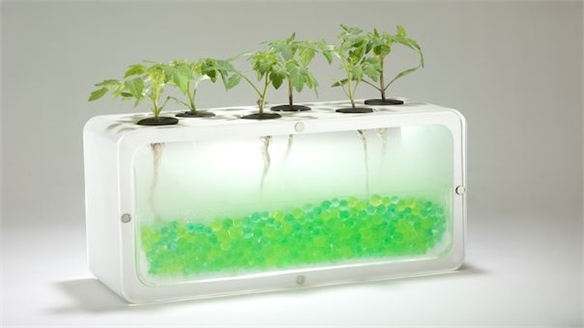 They “make growing plants in a hydroponic system simple, so that anyone could succeed”, according to Helena Karlén, a lecturer at the Swedish University of Agricultural Sciences, who collaborated with Ikea on the project. Single-tier kits (which come with eight plant pots) are currently available for purchase from £58 ($82) in the UK. The products are scheduled to reach the US in early 2017. Krydda/Växer is the first project of its kind for Ikea, moving the retailer towards a more sustainable vision for the interiors market. The product was developed following findings from Ikea’s second annual Life at Home Report, which surveyed 8,500 people in eight cities around the world. 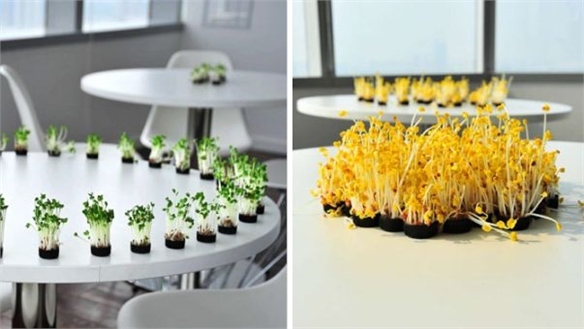 It found that 60% of the participants grew plants indoors – in Shanghai, the figure was 75%. We first noted the importance of domestic greening in our 2013 Design Democracy Industry Trend, Slow. Now, we are seeing more sophisticated options hitting the commercial market ­– as seen across decorative accessories at Maison & Objet last year, and within kitchens at Milan 2016. For more on this design trend, read Home Farming: Urban Cultivation Made Accessible and Future Farming. 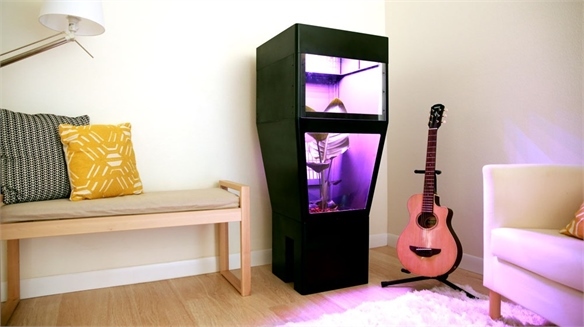 GroBox One: Next-Gen Indoor Greenhouse Next-Gen Indoor Greenhouse San Francisco start-up GroBox has designed GroBox One – a fully automated indoor greenhouse that uses hydroponics to help anyone grow their own produce at home. Israeli Innovation: TLV in LDN 2017 Israeli Innovation: TLV in LDN 2017 A celebration of Tel Aviv culture in London, the inaugural TLV in LDN festival (September 8-11) brought together Israel's leading influencers in gastronomy, tech and the arts in an event that provided a potent source of creative fuel. 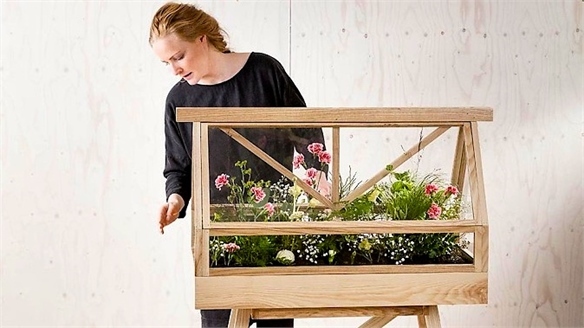 The Growroom: Ikea's Urban Garden The Growroom: Ikea's Urban Garden Ikea's Copenhagen-based innovation lab Space10 has designed a garden structure called The Growroom that lets city dwellers with no outside space cultivate plants and grow food in their homes. 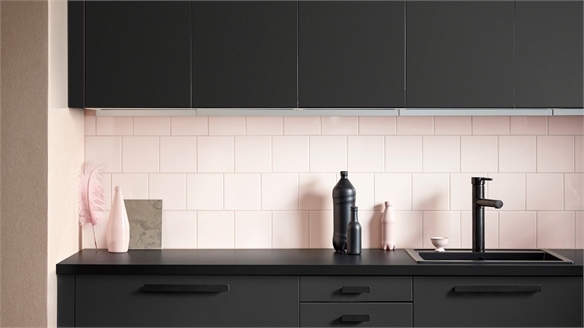 Ikea’s Recycled Kitchen Ikea’s Recycled Kitchen Swedish furniture manufacturer Ikea has announced it’s launching a kitchen cabinet range made entirely from reclaimed wood and recycled plastic bottles. 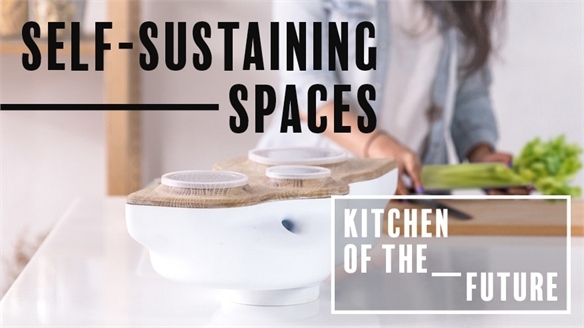 Self-Sustaining Spaces Self-Sustaining Spaces As conscious consumption becomes top-of-mind for measured consumers, tomorrow’s kitchen will be a productive, independent, thrifty and waste-free space, where appliances, systems, products and packaging boast impressive eco clout. 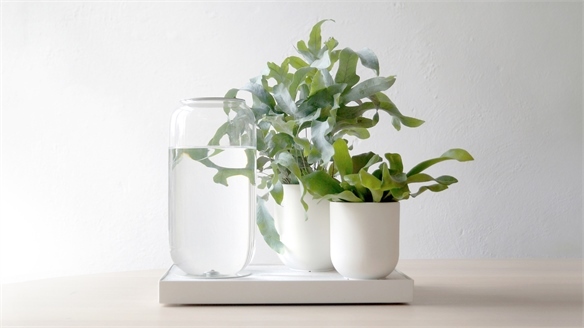 Maison & Objet 2015: Easy Greening Maison & Objet 2015: Easy Greening Tableau by Amsterdam-based start-up Pikaplant is a self-watering device designed for the easy maintenance of plants. 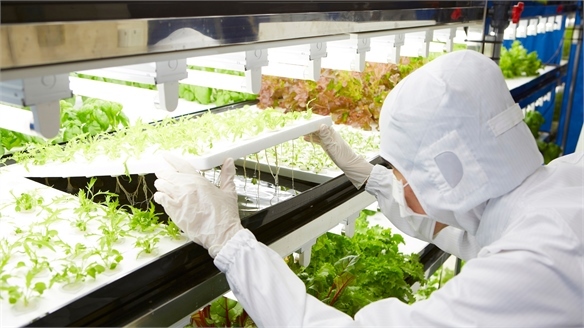 Toshiba’s High-Tech Farm Toshiba’s High-Tech Farm Tokyo-based electronics retailer Toshiba has converted a disused electronics factory into a tech-powered vegetable farm. The factory has been equipped with optimised lighting, an air-conditioning system that maintains temperature and moisture levels, and a remote monitoring system to track growth. 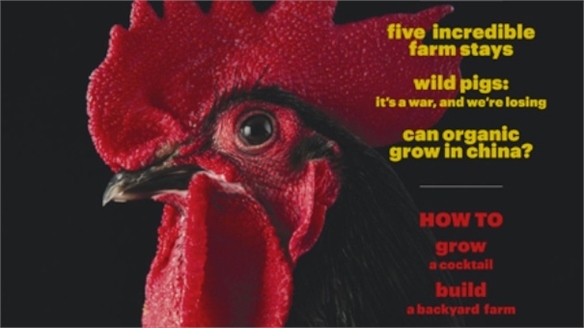 Appealing to the Modern Farmer Modern Farmer As we explored in The New Hunter-Gatherer, consumers are becoming more concerned with issues of food provenance. 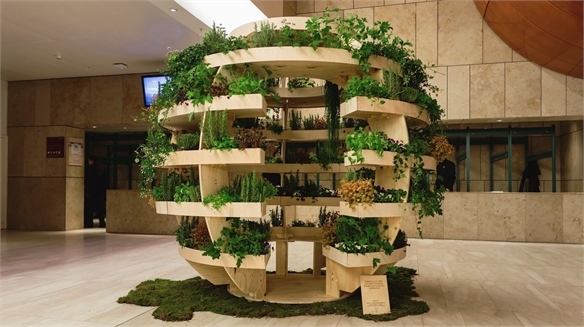 Agri-Cube: Hydroponic Growing System Hydroponic Growing System Japanese home-building firm Daiwa House Industry has developed Agri-Cube – an urban farming unit the size of a standard parking space that can produce thousands of vegetables a year. 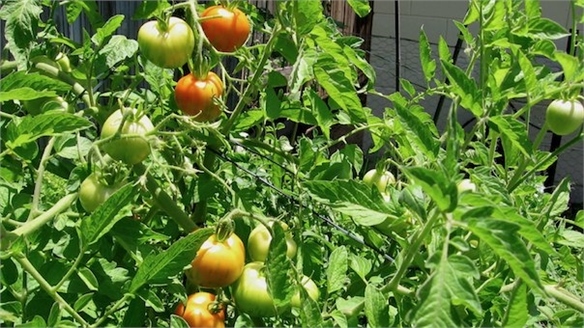 Grow Local Grow Local Online scheme Grow Local invites gardeners across Australia to register their backyard vegetable patches to show what they grow and share their produce. Registered patches are displayed on an online map, along with hints and ideas from other gardeners. 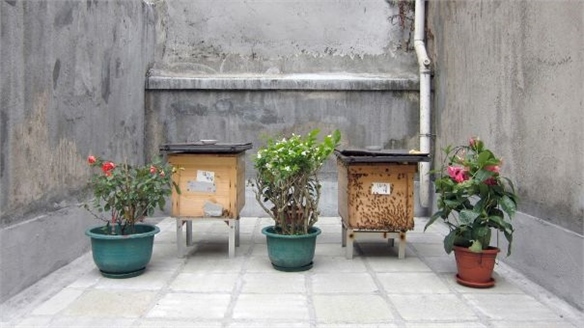 Home Farming: Urban Cultivation Made Accessible Home Farming From hydroponic window vegetable patches to beautiful beehives, new designs are making farming accessible to those without acres of land by bringing it into the home. A combination of factors including a loss of faith in globalised food manufacturing, concerns about the chemicals and additives common in factory farming, and the rising cost of living are contributing to the popularity of home farming. Once conceptual ideas that enable people to do this are now filtering into the mainstream, with a range of mass-market products emerging to meet the needs of space-poor urbanites keen to have a closer involvement in the food they consume. Transportable Farm Transportable Farm Shanghai-based designer Hiroyuki Shinohara’s latest project, Transportable Farm, showcases urban food production at its smallest scale. 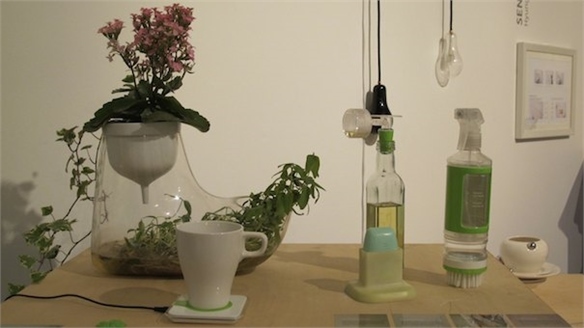 Green Way of Living Green Way of Living Inspired by peoples’ behaviour towards the environment, Central Saint Martins’ MA Industrial Design graduate Shuai Gong’s final year project features a range of tools designed to suit people’s increasing interest in a green way of life. 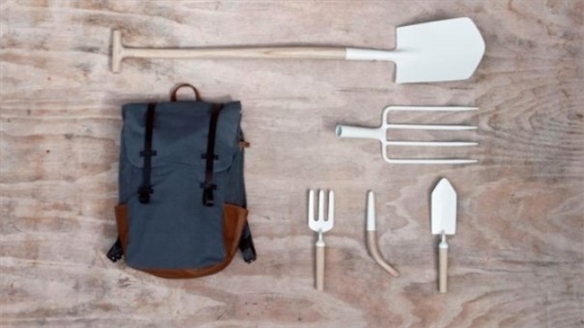 Urban Farming Tools Urban Farming Tools Swedish industrial designer Mirko Ihrig presented Urban Farming Tools – a set of five tools and a backpack – at DMY International Design Festival in Berlin last week. Home Grown Home Grown Over the coming decade food prices are set to rise as much as 40%. Add to that an ever-expanding desire for eclectic produce and an increasing interest in the growing process and the result is not hard to predict; consumers becoming their own food producers.